Heading away for the festive season brings a welcome relief from dreary winter weather and extended family politics, and all ages love discovering a new destination. Read on for our pick of stylish places which still have availability this Christmas (for the full list, click here). And don’t forget, the miracle of Christmas means Santa will find you, wherever you are in the world! 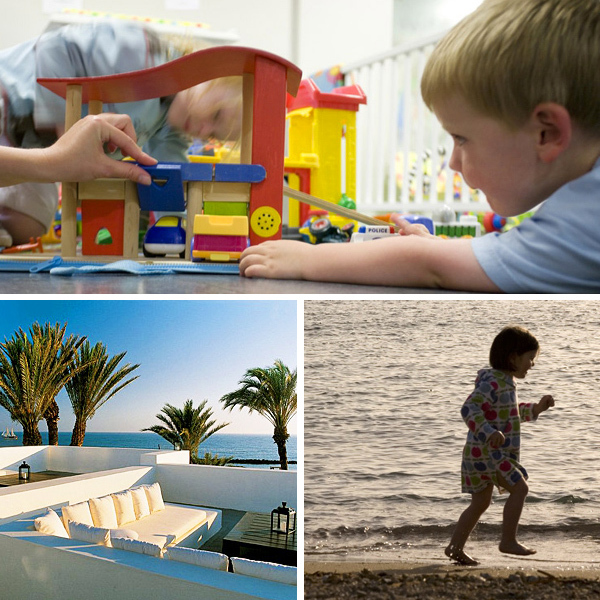 Family-friendly yet chic, these self-catering villas span all budgets and sizes. You’ll be treated to 6 hours of sunshine a day in December, as well as kids’ clubs for all ages, a choice of restaurants serving yuletide food, and a spa with treatments for adults, children and teenagers alike. 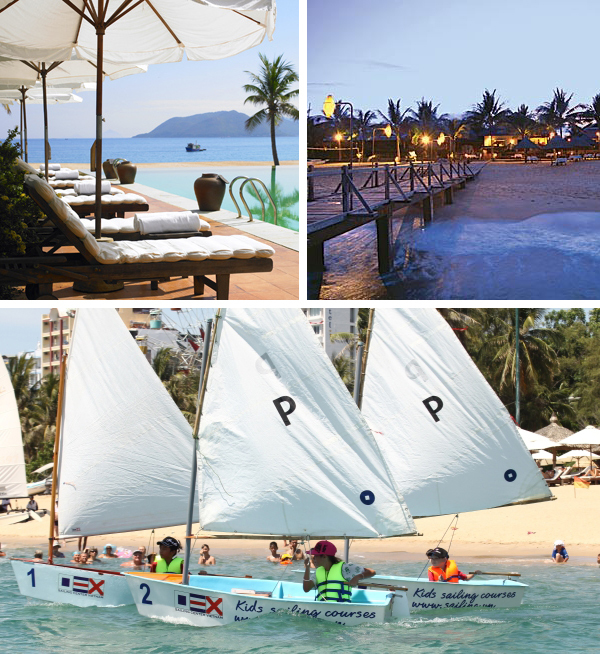 Over Christmas, the resort is decorated in fairy lights and there are special activities. The big day itself brings a sumptuous brunch buffet overlooking the stunning beach. 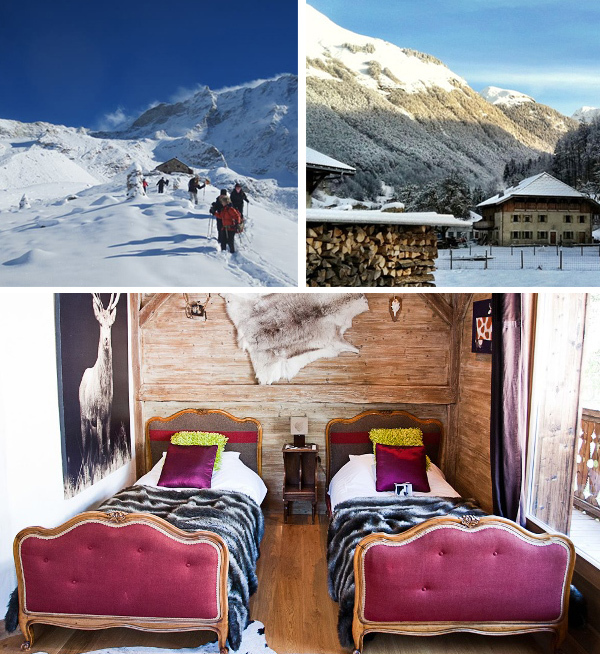 Spend Christmas in the snow at this Savoyard farmhouse on the outskirts of Morzine. 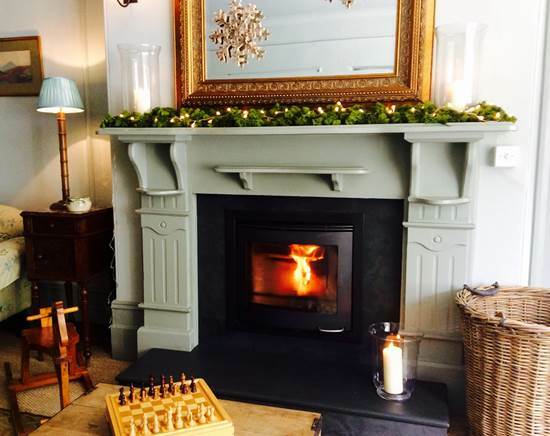 It’s a chic winter haven of roaring fires, fur throws and twinkling candles, with a tree to put your presents under plus a free ski pass for every one bought. You’ll also find superb food (including a full Christmas dinner with all the trimmings) and lots of space to play. Nearly all rooms can take an extra bed, and it’s excellent value for the region (kids under 13 are discounted by 20%, too). This exquisite mountain hideaway welcomes children in the school holidays, and they stay for free if sharing their parents’ room. It pulls out all the stops, and the 3-night festive packages include a Christmas or New Year’s Eve gala dinner with live entertainment and fireworks, as well as a mule ride and walking tour. Holidays by the sea are always special, and you and your family will love staying in this welcoming and stylish apart-hotel. All apartments and studios can take extra beds or baby cots, and the larger ones have bunk beds and twin rooms. For Christmas a decorated tree is provided for each family, and there’s a 2-course Christmas Eve dinner. On Christmas Day a breakfast box is delivered to your door, and there’s a traditional lunch with all the trimmings. 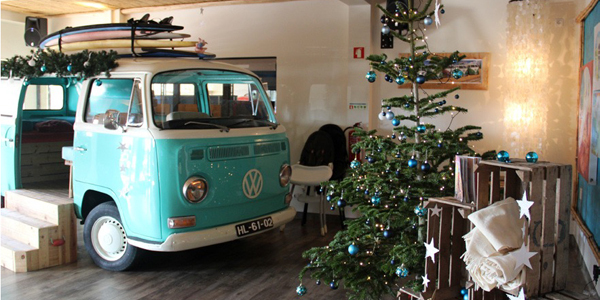 For a spot of festive indulgence, head to this super design hotel. Rooms and suites are clean and bright, and there’s a small beach, a choice of pools and a spa. This Christmas, marshmallows roast nightly around the crackling fireplace, and there’s a Harry Potter movie afternoon on 22 December. Christmas Eve sees baking classes for children followed by carols and a huge banquet. Come Christmas Day, there’s a festive lunch, with The Snowman and Home Alone screened afterwards, while Boxing Day brings a family boat-making session in the indoor pool. On New Year’s Eve, kids are treated to a disco while adults enjoy a gala dinner. This 17th-century fairy-tale chateau has been brought bang up to date with contemporary interiors, a swimming pool and golf. 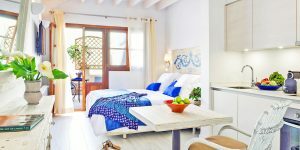 Choose between the hotel, which has suites with extra beds, or apartments and self-catering villas. The chateau will be specially decorated over the festive season, with special multi-course dinners and buffet lunches accompanied by live piano recitals or a Spanish orchestra. On New Year’s Eve there’s a party for all! Head to this sumptuous spa hotel, set on a 500-hectare estate, for a truly relaxing break. It’s ideal for families with older kids and teenagers; the larger suites can accommodate up to 3 children, or you can book a private villa. This year there’s a full programme of festive banquets, as well as a New Year’s Eve party complete with live jazz, a big band and traditional grapes at midnight. This gorgeous beachfront hotel is perfect for a special family vacation. 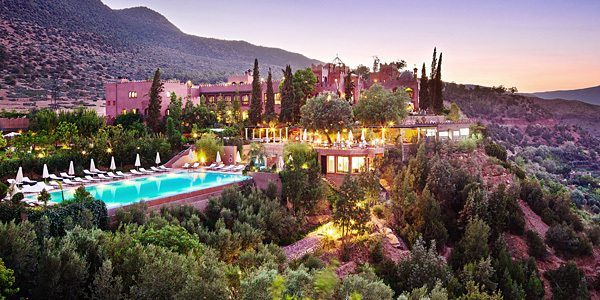 Gastronomic highlights include a lavish buffet dinner on Christmas Eve and a traditional turkey roast on Christmas Day, and St Nicholas visits bearing gifts. A lovely touch is the invitation to children from a local orphanage to place their wishes on the Christmas tree. Guests can then buy these wishes for them, with all leftover wishes being purchased by the resort. 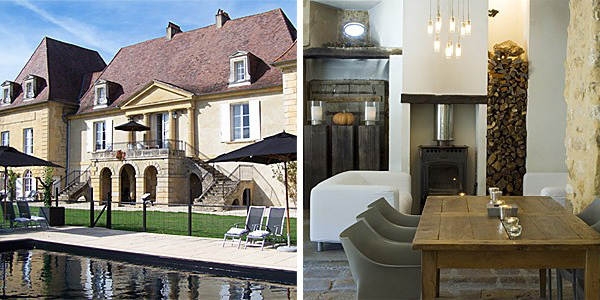 This spacious 19th-century chateau is set in 4 acres of grounds, with only 4 suites. Book the whole house or an individual suite, and look forward to a 3-metre Christmas tree, decorated fireplaces and plenty of evergreen boughs, plus a superb festive lunch followed by an evening buffet. Each suite has 2 rooms, with ample space for a family of 3-6. 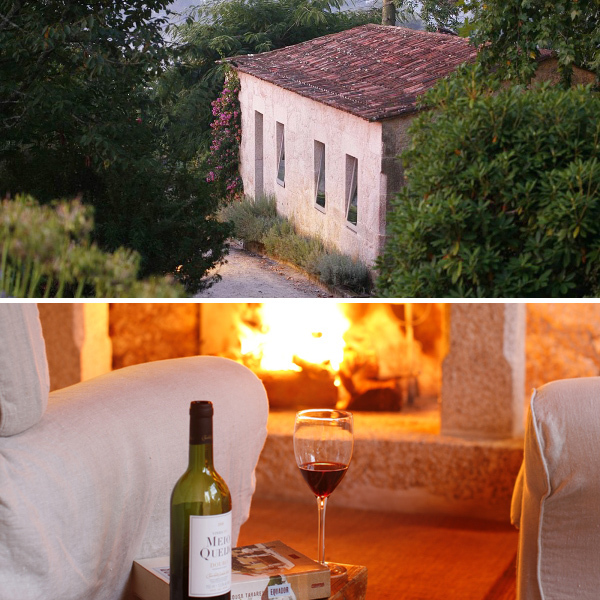 For a relaxed and intimate getaway just 60km north of Porto, we rate this beguiling manor house. The welcoming B&B apartments come with kitchenettes, and one has 2 bedrooms; another 2 are adjacent and work well for those travelling with older kids. There’s a family-friendly restaurant just 5 minutes away. This Christmas, stay for 3 nights or more to receive a bottle of Port, a welcome basket with chocolates, and a free hour-long massage.